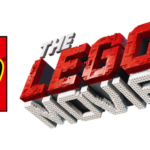 Today marks the start of the London Toy Fair, and there’s sure to be some nice announcements from LEGO in store. 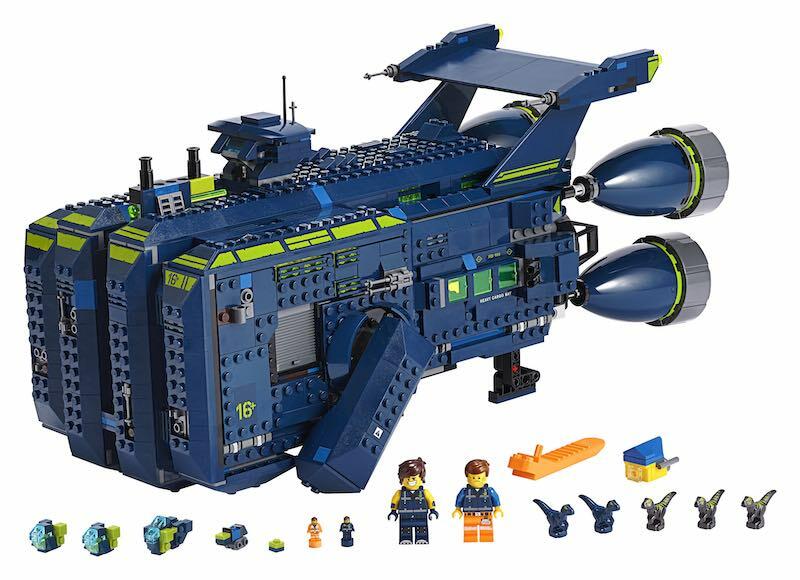 To get the drool machine cranking, there’s been a reveal of a set from the second wave of The LEGO Movie 2 – 70839 The Rexcelsior! There’s not a lot of imagery for it, so this is what we’re stuck with, but it looks impressive. 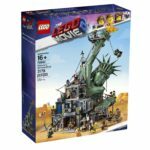 It’ll retail for £139.99 in the UK and contains 1,820 pieces, but no details on how much it’ll be in Australia (or other regions for that matter). This giant fist shaped monster looks massive, and it appears to be able to be worn, by the looks of the image in the corner. I’m sensing a bit of a NERF vibe with that corner image. The cones at the back look very intriguing, but it does seem strange that a set this size only comes with two minifigures. I’d expect something with this price tag to have a few more. There’s sure to be lots of play functions inside on top of the missile shooters at the front. The five baby dinos look like good additions, but it’s still odd that there’s so few minifigures. 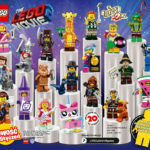 There does appear to be two nanofigures of both Rex and Emmet in there, as well as some spaceships and a microbuild of Emmet’s house, so it looks like a microscale build. Inside there’ll be a tiny microscale skate park, cargo bay and command bridge. That skate park sounds intriguing! 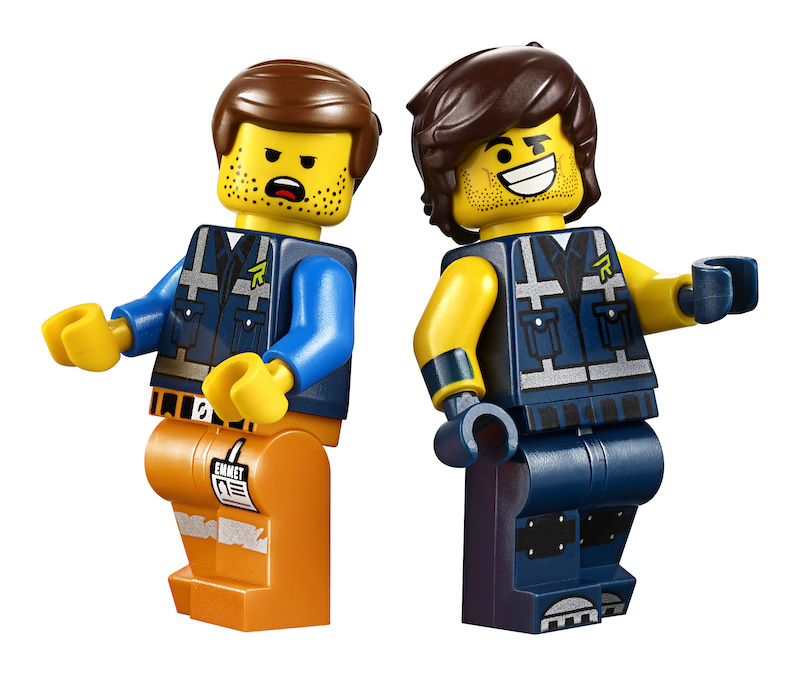 The two minifigures that are included are Rex Dangervest, and Emmet, complete with drawn on stubble and a Rex vest on. They look great! 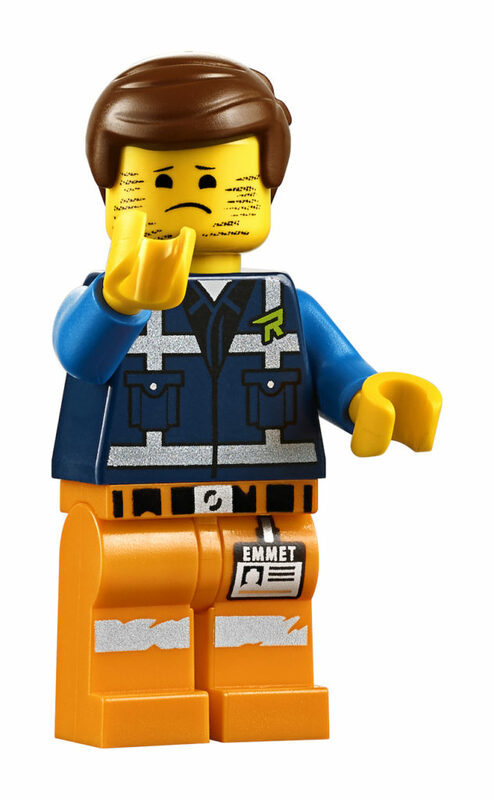 It’s awesome that Emmet’s alternate face is him wiping his drawn on stubble off! 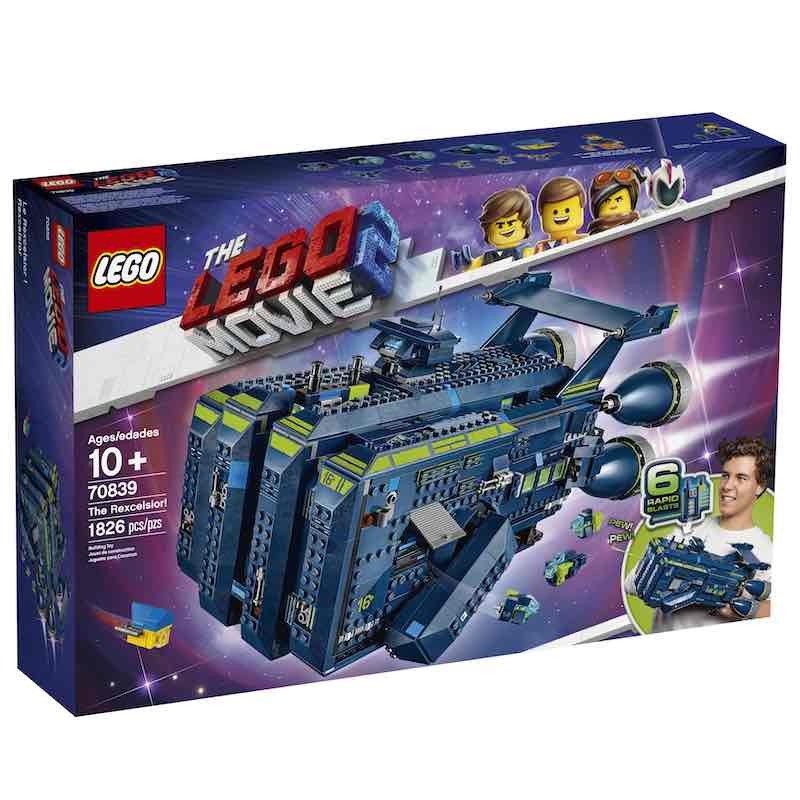 I’m rather intrigued by this set. When I know more, I’ll be sure to post it. 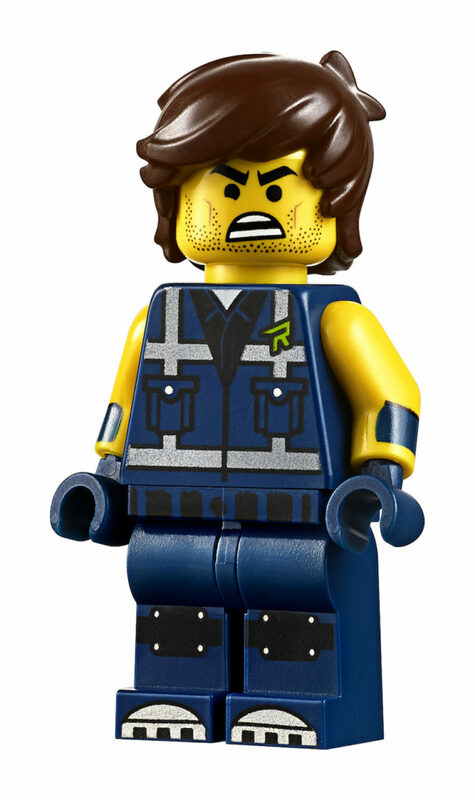 Thanks to CandidBricks for the press release (below) and images.